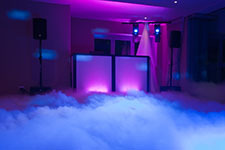 Sunshine Coast DJ’s and Photo Booth Hire are the premium Wedding DJ & MC specialists on the Sunshine Coast and throughout Brisbane. 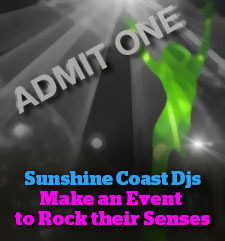 Sunshine Coast DJ’s was established in 1997. With a passion for music and entertaining, and a drive to deliver a fresh approach to the industry, we are based on the Sunshine Coast, Brisbane ,Hervey Bay and the Gold Coast. As one of south east Queensland’s leading DJ, VJ & Hosted Karaoke providers, we’ve been entertaining corporate and private clients successfully for the last 15 years. 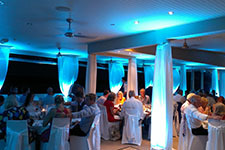 Sunshine Coast DJs also provides a photobooth, jukebox, frozen cocktail machine and AV hire service. Our extensive music selection has over 25,000 song titles and 10,000 video clips in a variety of styles, and we use only quality equipment. Sunshine Coast Dj’s is a professional DJ and entertainment business where the emphasis is placed on providing a quality entertainment service. Using only quality audio equipment from EV, Australian Monitor, Yamaha, Pioneer, Denon and Martin Lighting, our expertise, experience and knowledge means your event will be successful. We offer a broad range of music styles, with some of our DJs specialising in the early classics for our older clients, and other DJs who have music which includes R n B,Classic Hits,Top 40 and the latest club music. 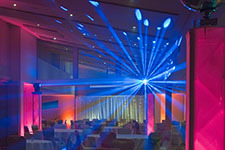 All our Dj’s are experienced professionals. We love the Sunshine Coast but will travel to other areas including the Gold Coast, Brisbane and Hervey Bay. 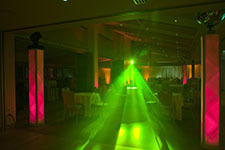 Sunshine Coast DJs is a widely recognised professional DJ company, experienced at providing entertainment for weddings, birthday parties, corporate functions, cocktail parties and general events. *$20 million public liability insurance to meet government requirements. 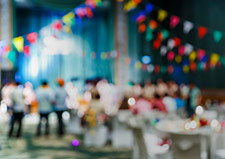 Call us today on 0410 868 797 to talk about how we can help rock your Function!